Google Tricks: Google is like a treasure stuffed with unlimited tricks and hacks. You can never imagine the amount of games, tricks and tips embedded inside the Google search engine. With Google, you can play, surf, unlock, Scan, update and do a lot of other things. Google is not just a search engine that it used to be in 2000’s. Now it is more like a treasure waiting to be explored. Below is an updated list of Google Tricks and Tips that have made into news in 2017. Also, we have added some basic tips while using Google search Engine so that you can use it more efficiently. 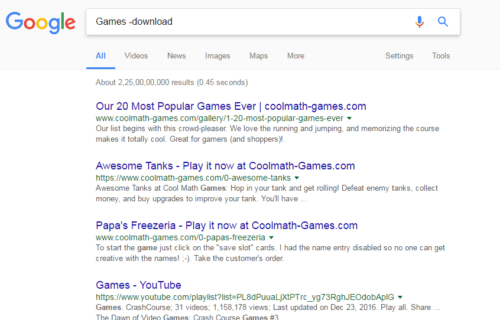 If you are bored of searching stuff and reading duplicate content, then you can try playing free addictive games on Google. Below is a list of games available on Google and how to access them. You can play a real Packman game on google. It is really an addictive game, where you can make high scores and compete with friends. To access google Packman, search for “Google Packman” on Google. Now, click on the first image of Packman on your search result. Your game will then begin shortly. Google Zerg rush is a small google game where you have to kill a bunch of O alphabet. These “O’s” will delete your search results. Hence, you have to destroy them before they clear your search results. 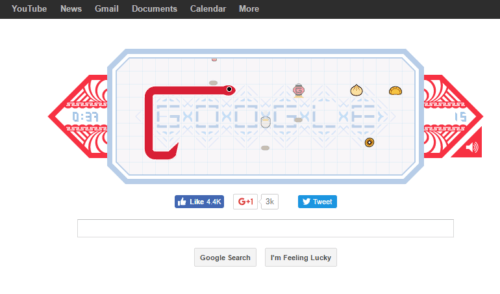 To play this game, just search for Zerg Rush on Google search engine. The game will then automatically begin. You will see a tab recording your scores on Top Right. Searching for google Guitar will display a guitar on Google search engine. You can play this guitar, and generate your own tunes. To play this guitar, go to google.com. 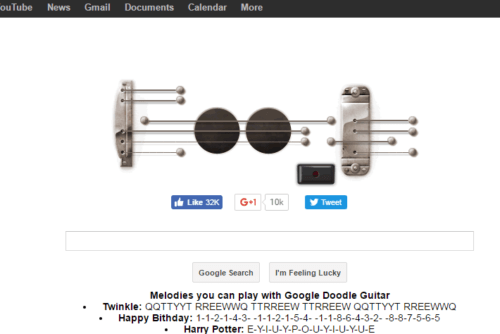 Now type google guitar and click on “I am feeling lucky” tab. Go to google.com and search for Google snake game and click on I an feeling lucky. This will take you directly to a snake game with many levels. To access this game, you need to be offline. This game will only work if you have no internet connection or your internet speed is too poor. To play this game, browse through any website while you are offline. This will generate an error message. On the top of the message, you will see a dinosaur. Click it, you game will then begin. Use space-bar or Up-arrow key to jump upwards. With Google gravity, your search box and all the components of the web page will go Upside down. You will then have to balance them with your mouse pointer. To use this trick, search for Google gravity and click on the first link. 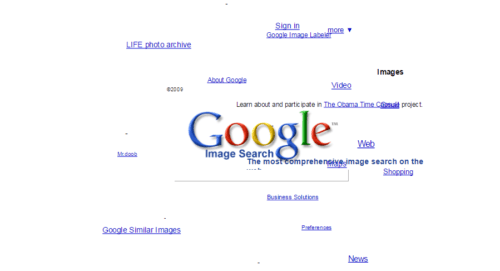 Type google underwater on Google.com and click on I an feeling lucky. This will bring you to an amazing search box. This search box is shown as it is underwater and floating with fishes. Use your pointer to change the flow of water. Go to the Google search box and type Google Rainbow. Now click on I an feeling lucky. You will be redirected to a google webpage that will show your search results in Rainbow colors. Below is a list of other amazing keywords that you can try searching on Google. Just remember to search them with I am feeling lucky tab. 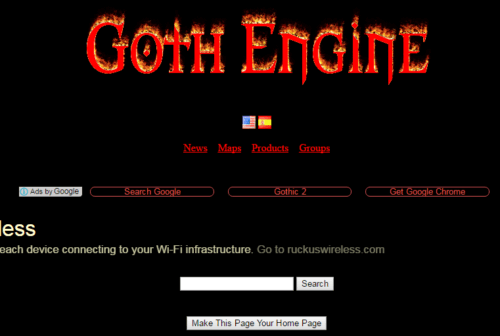 Will bring a Gothic lookalike search engine. Try all of these on your own. Searching for Google Sphere with I am lucky will bring a search engine with circular motion flying keywords. Search for Google Annoying and see the magic yourself. Searching this keyword will literally bring the Google search engine out of your Computer. Will add a blinking effect on certain keywords Blink and HTML on your search results. If you need any assistant in deciding things, just search for Flip a coin on Google. This will flip a coin and display results either Heads or Tails. You can flip it any number of times. Open the Mic on Google search bar and say I Love you. Google will the display a random Love quote for you. To search an exact phrase or sentence, search it with quotes on google. This will only display search pages with those exact quotes. If you want to eliminate certain words from the search results, then add an “minus” sign in front of that word. Add “vs” to compare two items and show search results related to their comparison. 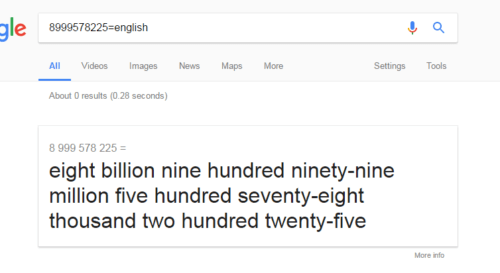 If you want a large number to be translated by google, just add =english after that number.